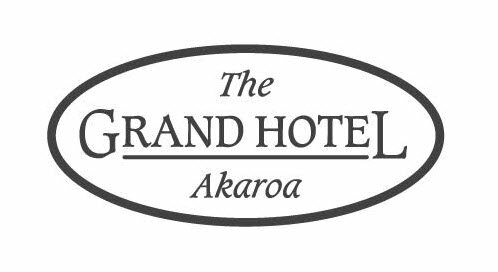 Built in 1883, The Grand Hotel is Akaroa's oldest hotel. While it retains the original façade and many of its Victorian features such as the ornate balustrades and fire surrounds, the building has been fully refurbished. Each of the nine bedrooms is stylishly decorated and has its own ensuite, freeview television and coffee and tea making facilities. Most rooms have king size beds and a balcony with gorgeous views of the town or glimpses of the harbour. Meals are available from breakfast till late and you can dine at Waeckerles a la carte restaurant or in our bistro. Waeckereles offers relaxed country-style hospitality and our menu features delicious seasonal seafood and produce such as bluff oysters and whitebait. The restaurant has lovely garden views and in summer you may prefer to dine on the balcony or enjoy a pre-dinner drink in the garden. We have an extensive wine list and the largest range of Craft Beers in Akaroa. Our bistro is open from 11am till 8pm and offers light snacks and tasty dishes the whole family will love. You can eat indoors, under cover on the patio or al fresco in the beer garden. If you just want to relax you could enjoy a drink in the bar while you watch the big game live on SKY TV or play a game of pool. An onsite bottle store, gaming room and TAB ensures that everything you could want is close at hand. Of course if you do feel like stretching your legs we are very close to the waterfront and it's an easy 5 minute stroll to the shops..